The Ministry of Information and Broadcasting, Government of India has announced that Rajinikanth would be bestowed with the Centenary Award for Indian Film Personality of the Year at IFFI 2014 (International Film Festival of India) to be held at Goa from the 20th to 30th of November. This is the 45th edition of IFFI. This is the latest in a long line of awards that the legend has to his credit, in his film career spanning close to 4 decades. The Superstar is currently busy with Lingaa and the film is expected to hit the screens in December to coincide with his birthday on the 12th. 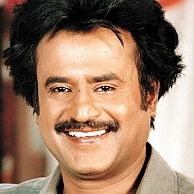 Behindwoods congratulates Rajini and all his fans on this latest honor. Hide and Seek - An inspiration for Thirudan Police! A.R.Murugadoss to go back to his Ghajini days? Kaththi in Telugu would be different ... How? The face of Goli Soda in 10 Enradhukulla, as well. Million Followers For Rajini ! Rajini Murugan Will Get Started Pretty Soon ! People looking for online information on Centenary Award for Indian Film Personality of the Year, IFFI 2014, International Film Festival of India 2014, Lingaa, Rajini, Superstar will find this news story useful.